The DLT is a 2 or 4 channel Digital Voice Logger in a laptop computer. 1. 900 hours of digital audio recording at default settings. 3. 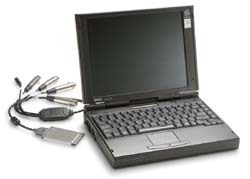 Ruggedized laptop computer package.